For most enterprises, building and releasing software applications takes too long, costs too much, and doesn’t meet the high expectations of stakeholders or end-users. DevOps combines the software development and operations disciplines to emphasize communication, collaboration, and cohesion between the developer and IT operations teams. 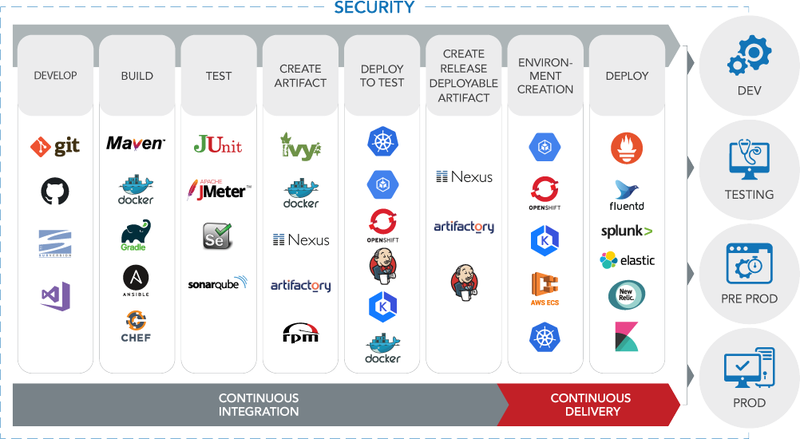 By integrating these teams, DevOps helps an enterprise deploy software more frequently, maintain service stability and gaining the speed necessary for more innovation. 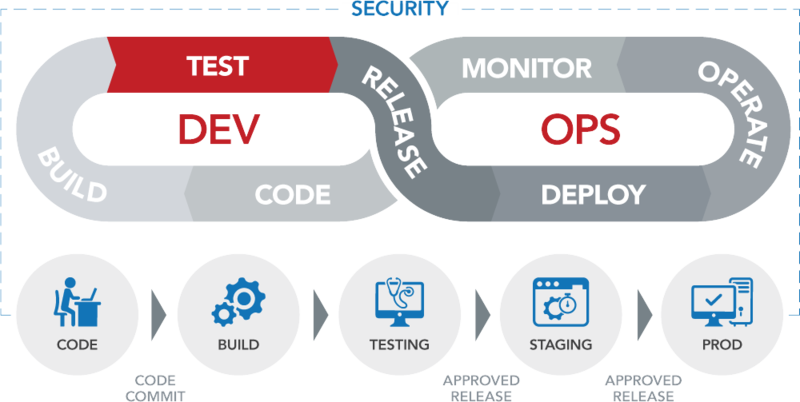 DevSecOps enhances DevOps function by inserting a focus on security into every role and process involved in building, updating, and maintaining applications. Continuous Integration / Continuous Delivery (CI/CD) is a software engineering approach, where teams work together to produce software in short cycles and then ensure that the software can be reliably released at any time. A successful CI/CD process connects the work of all of the groups involved in software development – product management, architecture, software development, QA, DevSecOps, Operations, and Support. The result is an efficient, repeatable, cost effective, and high-quality set of processes that deliver consistently great applications. Assess – establish clear criteria for improving the product delivery life-cycle. Implement: Implement right-sized DevOps, DevSecOps, and CI/CD processes designed around in-house capabilities and needs. Operate: create an operational competitive advantage based on repeatability, flexibility, and fast cycle times.